GoldenEye N64. Nintendo 64 GoldenEye 64 Gameshark levels and originals. Update: Has it been a while since you've last played GoldenEye N64? Are you unaware of the new multiplayer levels that have been released that were never part of the original N64 GoldenEye game? Simply said, thanks to the many hacking gods (too many to name, but check the forums to find out who these guys are) you can play multiplayer levels that are from other games including: Counter Strike, Mario Kart, Zelda: Ocarina of Time, Banjo Kazooie, Super Mario Brothers, TWINE, Perfect Dark and more! 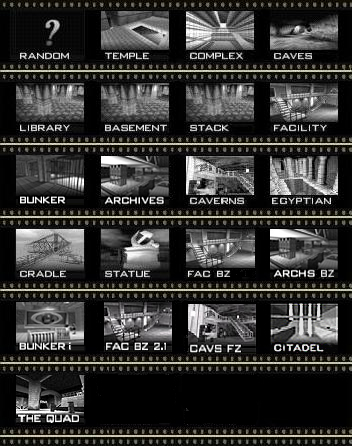 Instead of me explaining this, check out the collection of new GoldenEye N64 multiplayer levels on Subdrag's GoldenEyeVault.com. Welcome to N64 GoldenEye multiplayer resources! GoldenEye N64 has plenty of new multiplayer levels. It's true! GoldenEye 64 is still a top game and now is fully playable online using the Mupen64 emulator. Grab a USB controller adapter and you can be playing GoldenEye N64 on your PC with amazing resolution. Did I mention online multiplayer? Sure you can still use the Nintendo 64 console, but the PC performance is superior. Also, for the latest GoldenEye N64 levels, visit the forums. 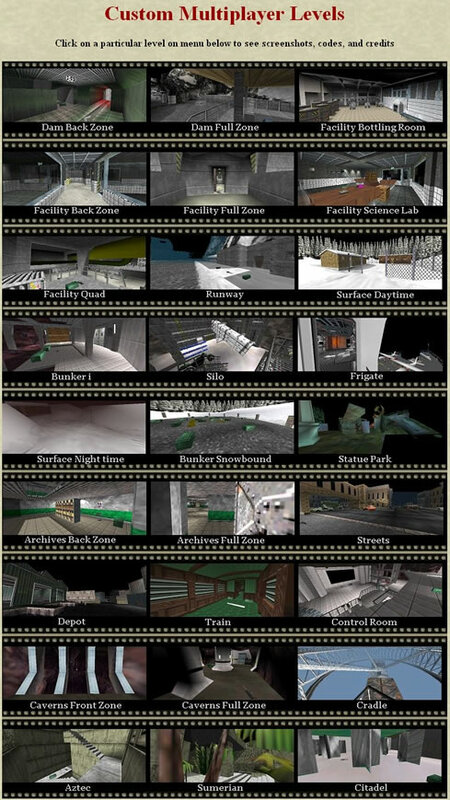 All the GoldenEye N64 multiplayer levels that have been released are completely playable online. Enable GoldenEye cheats with a Gameshark is another method. If you can imagine most if not all the GoldenEye 64 solo mission levels are now converted into new playable multiplayer levels complete with all the objects! Think of it as a rebirth of GoldenEye N64 ten years after its release. These GoldenEye levels perform with great framerate performance. Perfect Dark Nintendo 64 levels that have been released include Car Park, Grid, Villa, Ravine, G5 and more. I must stress that all these new GoldenEye N64 maps are playable online flawlessly. Check the play GoldenEye N64 online section of this website. Look at all the new GoldenEye multiplayer levels! There are many others also. Click image!